If you’ve been looking for a blood test for vitamins and minerals deficiencies you’ve found it! The stem cell therapy experts at Stem Cell Miami introduce intracellular micronutrient testing. Your body needs a certain amount of minerals and vitamins to maintain a healthy balance. Understanding what your body is lacking is essential to know how to care for your body correctly. If you’re in the Miami area, there is a new test that laboratories are conducting that can give you the insight you need to care for yourself properly. Intracellular Micronutrient Analysis or testing is a new and innovative way to identify any deficiencies that your body may have so you can address them and get yourself feeling the best. Doctors are using this test to screen for nutritional deficiencies in both people with chronic illnesses and ones that seem perfectly healthy. It is also being used to help diagnose diseases that have in the past been hard to identify because they cause generalized symptoms. The test got its name because the term “micronutrients” is used to describe the essential vitamins and minerals your body needs in order to remain healthy. If your body is not receiving an adequate amount of these micronutrients, you can experience a variety of symptoms including fatigue, headaches, and emotional changes. The most common vitamins that have been found to be deficient in patients are vitamins A, B1, B12, C, D, and selenium. Although, nutritional deficiency is uncommon in the United States because most people get enough nutrition from their diets and over the counter vitamins they are still occurring. This test is going to help figure out why and how to correct the problem. These tests are conducted in laboratories and are used to confirm a doctor’s suspicion of a micronutrient deficiency. The test measures the intracellular levels of micronutrients. Supporters of this type of testing say it is superior to the testing in the past that was done through a serum analysis and standardized values are used to identify “normal” and “deficient” nutrient states. Advocates support their claims by stating that intracellular levels have the ability to show micronutrient levels over an extended period of time. However, there can be problems with intracellular testing because of the differences in each individual cell type. When the test is done a panel of micronutrients are evaluated. Some of the minerals that are examined are magnesium, calcium, potassium, sodium, and phosphorous. The vitamins that are looked at are A, B1, B2, B3, B6, B12, C, D, and K. Another way the test can be performed is by a blood sample. Blood is drawn from the patient, and the intracellular status of the micronutrients in the sample is examined. Similarly to stem cell therapy this innovative treatment is not for everyone. That is why it’s important to speak with the experts to learn more about the details before determining if it’s right for you. Stem Cell Miami is the stem cell therapy experts that are devoted to the well-being of each one of our patients. We specialize in staying on top of the most innovative medicine including a blood test for vitamins and minerals deficiencies. If you are in the Miami area call or visit us today to find out how we can help you! Stem Cell Miami has been a leader in Miami for innovative medicine, and they are now providing stem cell therapy for arthritis. 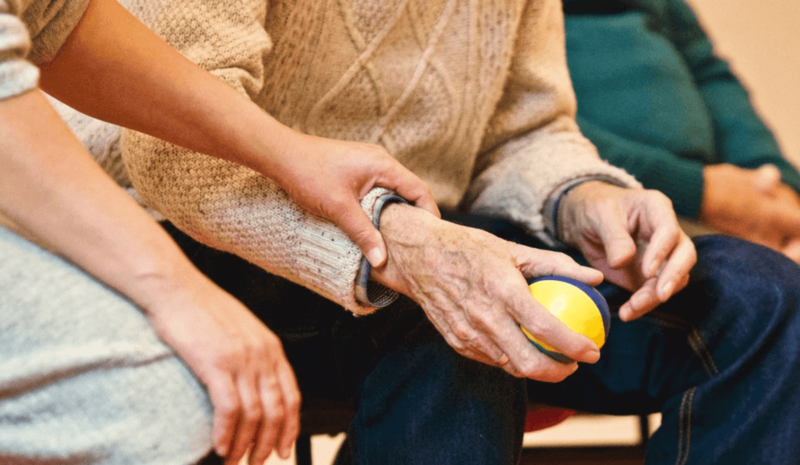 This new option for arthritis in hands treatment is a great way to treat the painful symptoms that are associated with arthritis and pain in your bones. Before deciding if this treatment plan is the right one for you it is critical that you speak with someone about all of the details and specifics that are involved. Stem cell therapy for arthritis is a new non-surgical way patients are getting relief from the endless pain of arthritis. However, understanding if this option is right for you requires a lot of research and gathering of information about the therapy and what’s involved. Keep reading here to get an overview of what you should expect. Pain in hands and wrists are common. The repetitive motion that these body parts experience every day can cause extensive damage. Activities that you do every day without even thinking like typing, sports, or sewing can cause pain as well as different conditions like arthritis or carpal tunnel syndrome. Although there are a number of treatment options for arthritis stem cell therapy is an innovative option that can leave you pain-free without the harsh recovery time of surgery. During this procedure, the doctors will harvest your own bone marrow using fluoroscopic guidance. Once the marrow is harvest, it will be reinjected into your hands. This treatment is derived from human placental amnion, which acts as a structural matrix that aides in the healing and repairing of the tissue that is in your hand. By healing and repairing the tissue in your hand the pain from arthritis will begin to subside and can ultimately go away from an extended period of time. 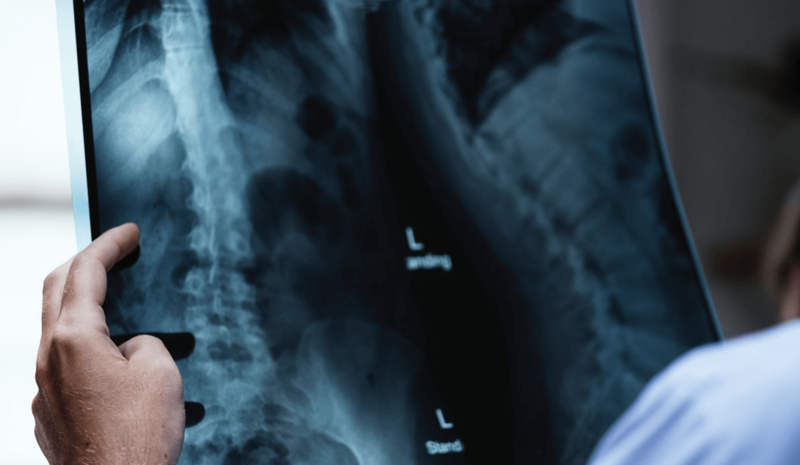 These injections contain over a hundred different growth factors that help repair the damage that has been done to your bones and joints from arthritis. In addition to the growth factors, the injections consist of prostaglandin. These groups of compounds stop inflammation, which is imperative to correct the damage and pain of arthritis because it is the beginning of the healing process. Also, the quicker the inflammation is handled and gotten under control the faster the body can move onto the next step of healing. After inflammation has begun to decrease the body moves onto regeneration, this is where the injections will help create and repair tissue in the hands and wrist in order to improve the pain caused by this condition. 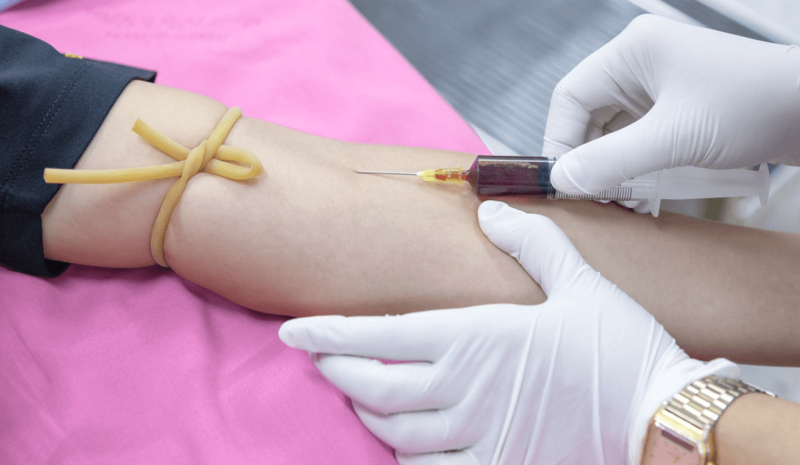 Arthritis isn’t the only condition that stem cell injections can treat. This treatment is a fantastic option for patients who are suffering from carpal tunnel syndrome, ligament strains or tears, tendon damage, Triangular Fibrocartilage Complex tears, or trigger finger. If you or someone you know is suffering from any of these painful conditions it may be a good idea to reach out to an expert to learn more about stem cell therapy and how it could help put you on the path to a pain-free life. Stem Cell Miami is a regenerative medicine specialist that is devoted to the well-being of each one of our patients. We specialize in staying on top of the most innovative medicine including stem cell therapy for arthritis. If you are in the Miami area and looking for an option for arthritis in hands treatment call or visit us today to find out how we can help you! Professionals all over Miami including those at Stem Cell Miami are looking for ways to utilize the new stem cell knee repair. This treatment method uses a number of stem cell knee injections to treat and reverse the knee pain their patients are experiencing. Dealing with this kind of pain can be incredibly overwhelming, and it is easy to become discouraged when all of the pain management techniques you try don’t work. That is why you should keep reading to learn more about this innovative strategy. Your knee is one of the most important parts of your body. This is the joint where the bones of your upper and lower legs meet. It is also the part of your body that provides the stability and strength that is needed to support the entire weight of your body. This stability and strength are essential to giving your body the flexibility it needs for walking, running, standing, and jumping. Your knee is made up of bones, cartilage, muscles, ligaments, and tendons that help it do its job. All of the parts that make up your knee can suffer injury or disease, and when that happens, the pain that you experience can become crippling. 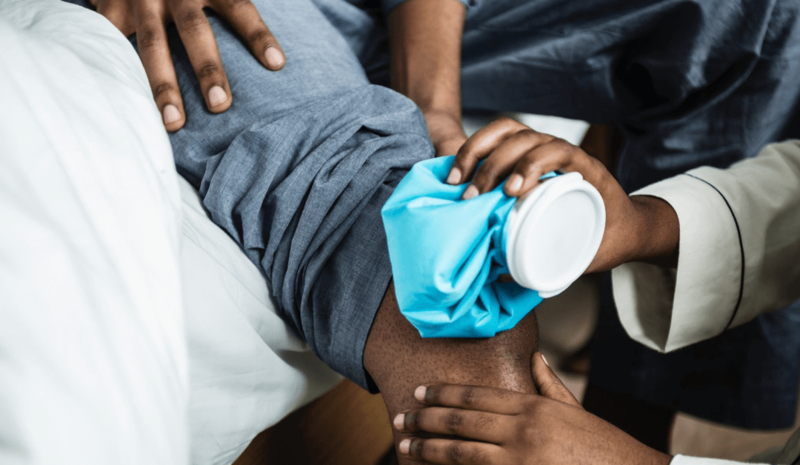 The reason this happens is that a knee problem can affect the way you do a lot of things including playing sports or even just getting up off of the couch, which can have a significant impact on your quality of life. Before stem cell knee injections were introduced as a treatment option for patients the only ways to treat knee pain was by physical therapy or surgery. A lot of patients did everything they could to avoid knee surgery since the recovery is often times lengthy and difficult. With stem cell treatment bone marrow stem cells are used to treat bone, muscle, tendon, ligament, and cartilage injuries and damage in the knee. 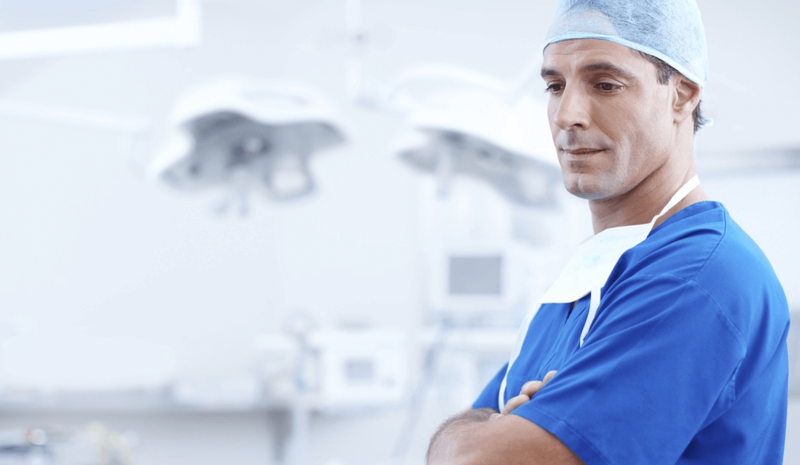 These injections also include amniotic membrane tissue is made up of collagens and structural proteins that support tissue growth and production that is needed to conduct a knee repair. Not only is this treatment allowing patients to avoid surgery, but the recovery time and pain has been drastically shorter than the time patients experience after knee surgery. Some people are seeing significant improvement just one month after the injections and a full recovery after only six weeks. However, not all patients are candidates for this treatment, so it’s important to know all of the information about your condition before making a treatment plan. For example, if you are somebody who has loose bodies in your knee stem cell injections will not help with your pain because these loose bodies need to be surgically removed before any other treatment can be done. Stem Cell Miami is the stem cell knee repair specialist that is devoted to the well-being of each one of our patients. We specialize in staying on top of the most innovative medicine including stem cell knee injections. If you are in the Miami area call or visit us today to find out how we can help you! The professionals at Stem Cell Miami know that looking into an ALS stem cell treatment can be a nerve-wracking decision. ALS, also known as amyotrophic lateral sclerosis, is a progressive neurodegenerative disease that affects the nerves and brain. Currently, there is no cure for this disease, but thanks to regenerative medicine like stem cell treatments there may be a cure in the future. If you or someone you love is suffering from ALS, it is important to gather all of the information possible about different treatments that are available before making any decisions. Keep reading to learn more about this new innovative treatment and why it may be the perfect option for you. When a patient suffers from the neurodegenerative disease ALS, their motor neurons are hyperexcitable and overactive. This causes the neurons to become burnt out at a faster rate than a person without the condition. This is why many doctors and researchers have spent countless hours trying to find a treatment that could address the overactive neurons, and there may be a group that is close. Researchers at Massachusetts General Hospital along with the Harvard Stem Cell Institute have begun a clinical trial with people that have ALS where they are given the innovative drug retigabine, which has shown to improve the characteristics of motor neurons that are impacted by amyotrophic lateral sclerosis. Also, the drug has also been effective in lowering the excitability of the motor neurons in patients with ALS. This is a new treatment where doctors took stem cells from a patient and brought them into the lab to help identify a potential treatment option. This treatment development started over a decade ago when researchers came up with a better way to study ALS in the lab. This disorder is complex and can be caused by over a hundred different mutations in many different genes. Because of this, it is extremely difficult to study ALS in both humans and animals. However, it has become clear through extensive research that all of the mutations in the genes results in hyperactive or overexcited neurons. Once this information was uncovered the goal became to find a drug that reduces the excitability in the motor neurons. Since the drug that was developed, retigabine, had been shown to be safe in the lab for people the doctors and researchers were able to skip the animal testing phase that takes an extensive amount of time and bring the drug from the lab straight to a clinical trial. Patients with ALS were treated in the trail, and the results were positive. Retigabine was shown to lower the excitability in their motor neurons successfully. Another benefit of this trial was the participants agreed to donate their stem cells so further research could be done to improve this regenerative medicine treatment. Stem Cell Miami is a regenerative medicine specialist that is devoted to the well-being of each one of our patients. We specialize in staying on top of the most innovative medicine including ALS stem cell treatment. If you are in the Miami area call or visit us today to find out how we can help you!